AR Technology: What Is Augmented Reality And How Does It Work? ​AR technology or augmented reality technology enables humans to interact with the world around them uniquely. Utilizing various devices such as smartphones, images that are generated by the computer are superimposed or projected onto the real world. The creation and use of augmented reality technology have been around a lot longer than one might think. Albeit, AR technology is becoming more mainstream in use and acceptance, the government and military harnessed and built up this technology for practical applications. The use integration of AR technology into our everyday lives helps improve the delivery of information, navigating territories, and responds readily to user feedback for an enhanced experience. When the mobile game Pokemon Go was released, surprised onlookers may have viewed players who were excitedly capturing and fighting pokemon characters which were only visible via augmented reality technology and their smartphone. The success of games that use augmented reality technology, hinges on positive user interaction and feedback, quick responsiveness from the application in use, and that the graphics and integration are seamless. Overall, augmented reality allows users to get a view of the real world that combines superimposed interactive maps, global multiplayer gameplay, and even has become an expected technology offered by retail stores. Most technology that uses augmented reality operates on smartphones. However, devices like Google Glass, the iPhone, and even Android phones are capable of crunching the data necessary to run augmented reality tech successfully. Current devices that utilize augmented reality include the following. The race to make smart devices that connect to the internet of things, and allow for the seamless integration and use of augmented reality technology continue. Consumers desire AR-based products that are easy to use, have clean aesthetics, and do not consume too much power to operate. As technological improvements with augmented reality progress forward, employers are implementing AR integrated devices to inform and educate workers while on the job. Gaming is not the only platform that utilizes augmented reality technology. In fact, AR technology has enjoyed widespread application for the military, the medical field, and within navigation tools. The military has found the use of augmented technology useful for training personnel who may need to make repairs while in the field. Within the military, a HUD or Heads-Up Display is a clear interface placed within the view of a fighter pilot. The augmented technology projects data such as altitude, airspeed, and other pertinent information, so the pilot stays informed without having to take their eye off their target. 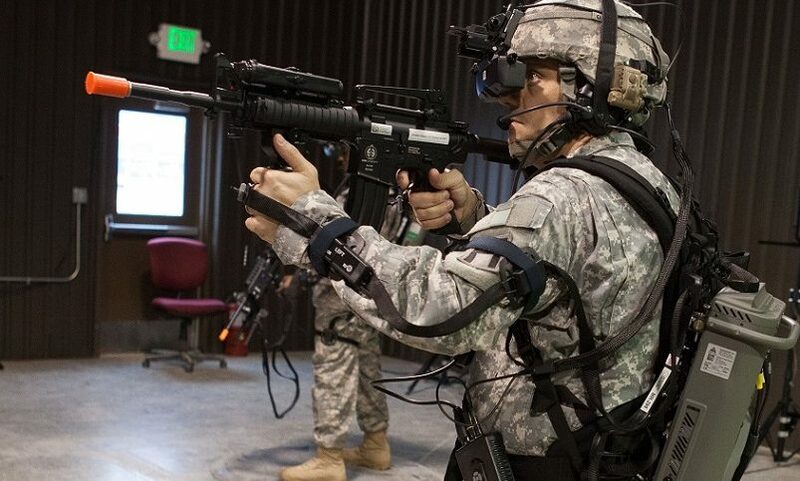 On the ground, troops in the military can make use of an HMD, or Head-Mounted Display that gives information like enemy location, or assists with training simulations for warfare. Instead of medical students having to rely solely on using cadavers for study, the integration of augmented reality technology can walk students through complex medical procedures, or project displays of human models. Students can make use of this unique technology to practice surgery, reduce the risks to patients during operations, and enjoy a better ability to visualize anatomy using 3D modeling. When traveling from one point to another, navigation tools get an upgrade when using augmented reality. Not only can navigation tools for drivers employ GPS systems so that travelers can get their bearings. 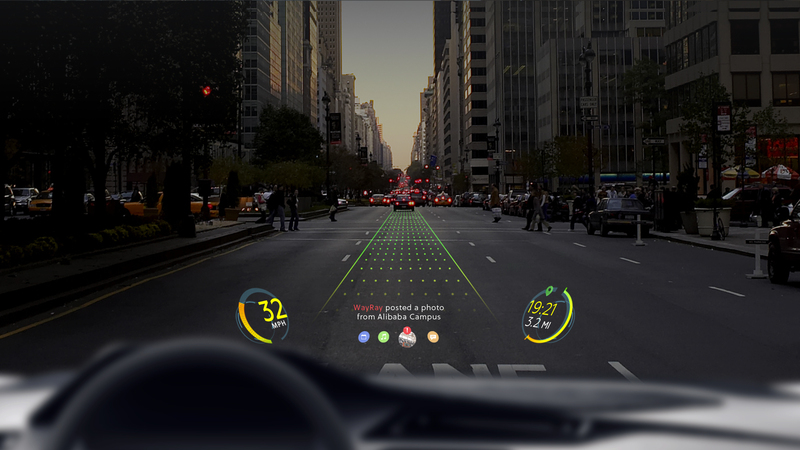 Drivers can interact with augmented reality applications to follow a preferred route to a destination, and even get informed about points of interest along the way. Sightseeing on foot, users can use smartphone applications with integrated augmented reality and have data on sites of historical importance pop up along their path. Combining the power of GPS, image recognition, and data input, smartphone applications can offer travelers a unique perspective on their vacation. According to sites like Shopify, 61% of consumers would rather shop at stores that offer augmented reality. Customers use in-store AR tech to virtually try on apparel projected onto their image in a mirror or peruse for items which come with product information at the ready. Stores like Ikea have teamed up with smartphone apps to allow interested buyers to project what their choice of furniture would look like within their home. AR tech helps take the guesswork out of whether an item is a good fit or not, and has a ‘cool factor' that is fun to use. Augmented reality technology is not the same as virtual reality technology. Instead of users having to use bulky headgear to immerse themselves in a virtual environment fully, augmented reality allows for virtual components to be projected onto the real world, with real-time interaction. Marker Based AR tech utilizes visual markers in the real-world which is identified and tracked. An application that uses AR configures the orientation of a smartphone's camera, to superimpose virtual imagery and data over the marked physical area. Image recognition technology is a key component for this AR tech to work. Instead of using image recognition to find visual markers to track to line up AR projections, Markerless AR relies on natural features of a real-world physical environment. Most Markerless AR uses GPS features to locate relevant sources that interact with AR. And the information extracted when the Markerless AR is engaged is stored for future use. An example of a Markerless AR app is Google's Tango or Layar. Projection Based AR is a useful technology for industry and manufacturers Instead of employees having to execute operations utilizing a paper manual, a projection of work instructions, operation guides, and pertinent data gets superimposed over a work environment or tool. Projection Based AR creates an ideal scenario, where practically any worker who follows the instruction process, or AR based visual prompts and audio can complete a task. Industry loves the integration of AR tech onto manufacturing lines and more because it increases speed, precision, and productivity levels. Quality assurance is improved and enhanced with the use of Projection-Based AR. 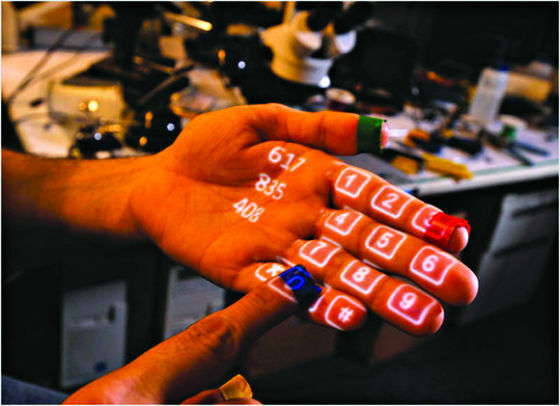 When it comes to playing games, or building virtual models, Projection-Based AR can impose virtual interactive data, lights, and constructs on the palm of your hand. Superimposition Based AR has uses within the military or medicine. Virtual components get projected over real-world physical items and environments to enhance the understanding of a scenario with comprehensive data. For example, a military troop may use equipment that utilizes Superimposition Based AR with an infrared view of an enemy target, GPS location, and other data. In a medical application, a superimposed X-ray may be placed over a broken bone to get a clearer understanding of the damage and learn step-by-step instructions on how to carry out any necessary procedure. With the release of augmented reality into the real-world, it seems like consumers can't get enough. There are currently over 1,000 apps that utilize AR on the App Store, and both Apple and Google continue to enhance and develop the quality of user-experience and technology to get the most out of AR. 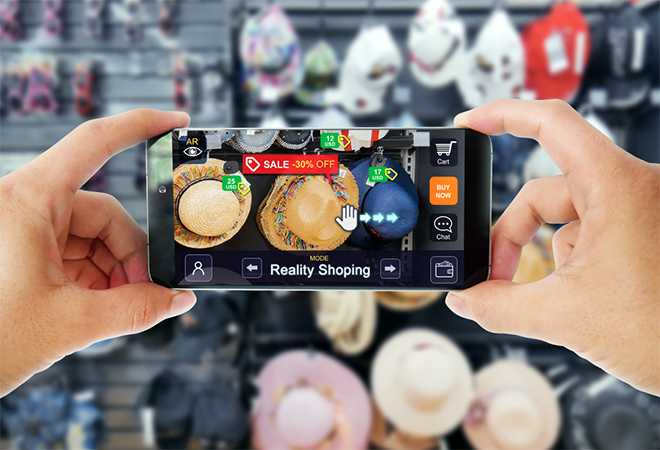 The use of AR is not only for gaming, but is useful for visualizing the real-time use of store products, as an education tool, and enables popular face filters on social media platforms. The ability for AR to allow users to get more information about an AR subject, or real-world subject is helpful for better relating and understanding what a user is interacting with. AR tech also can enhance user knowledge via translation capabilities. Specific AR apps can translate foreign languages in real time, superimpose the written language for a user to read, while also giving audio feedback for better understanding. Tourists don't have to rely on a human guide when exploring a foreign place. Thanks to apps with AR tech, tourists can use apps that readily recognize historical locations, nearby services like restaurants, coffee shops, and bathrooms, and point them out with real-time updates. Technology continues to advance with the integration of facial recognition, image recognition, GPS, and more powerful processing units. Users can interact with their smartphones and other internet-connected devices, which are capable of delivering an enhanced mixed reality every day at work, play, gaming, or even at home. Augmented reality technology contains the tremendous potential to shape and change our world in fascinating ways. As users seek out experiences with technological interaction, apps, and instantaneous results, augmented technology satisfies consumer needs. Drivers can use augmented reality to travel to their destination, and retail shoppers can better figure out how that new piece of furniture will look inside their home or office before making a purchase. 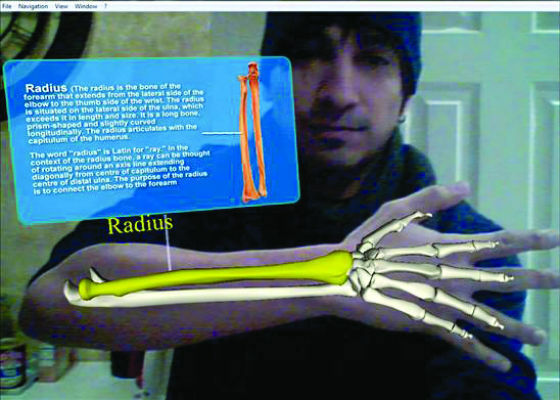 Medical procedures can be carried out with ease, because of augmented reality technology assisting with executing techniques and making assessments. Virtual Reality Glasses: What Are They And How Do They Work?